Today is Saturday so I am not working. Took a little longer sleep today due to being in meeting yesterday evening between 21.00 and 23.00 so did not get to bed until 01.30 in the night. Woke up around 08.30 this morning and started out by going through the latest news on the Internet. 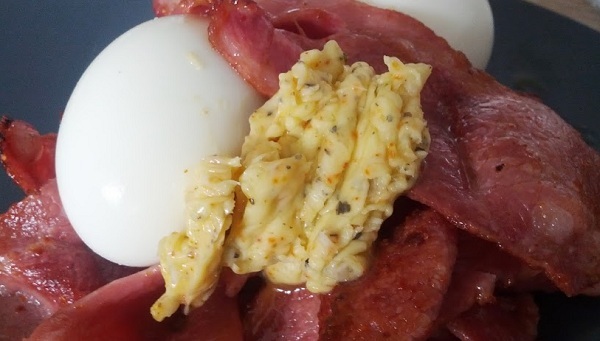 Around 11.00 I started cooking breakfast / lunch which was boiled eggs, bacon and some of the spicy garlic butter that I made yesterday. I also call this Breakfast of Champions. Had 3 cooked eggs and around 200g of bacon together with a small click of the garlic butter. Since I usually do not eat breakfast I will be fine on this breakfast / lunch until later this evening when I plan to go out and have some buffet food. After the breakfast I did some push-ups and no weight squats at home as warmup for today’s gym. Doing these exercises more and more now to build up some strength and also being able to do more at the gym in the future. Around 13.00 I took a 25 minute walk towards the gym and did a combined leg and chest training today. The weight lifting today took around 70 minutes and in the end I was quite tired. Took a shower and then went to Starbucks to buy some normal coffee and one espresso. Took the espresso directly and then drank the normal coffee while walking home. Later tonight I am going out for a buffet dinner containing mainly some salmon, roast beef, ham, cheese and some various salad and lettuce. 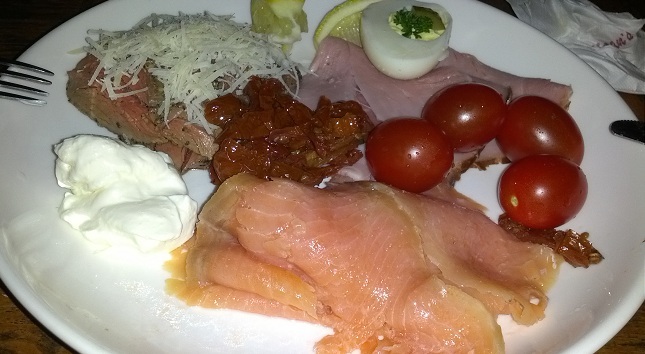 Been to this buffet several times before and really like it. At 88 RMB (~$10) it is a really good offer considering I can eat as much as possible and have the opportunity to eat a lot of meat and cheese. My friends who are not on the keto diet can also enjoy some fruit with chocolate which is also included in the price. One Response to "Breakfast of Champions and gym"
Could post the garlic butter recipe?